Winter is moving along, so if you haven’t dusted off the skis or taken advantage of the warm outerwear you’ve received as gifts or bought for yourself, it’s time to plan a trip to a snowy destination. Vail is not only a classic ski city with hills for all levels of skiers and lessons for those who need to refresh their skills, but it’s a charming town with lots going on. Events there in February promise to be exciting and fun, even (and maybe especially) for spectators. 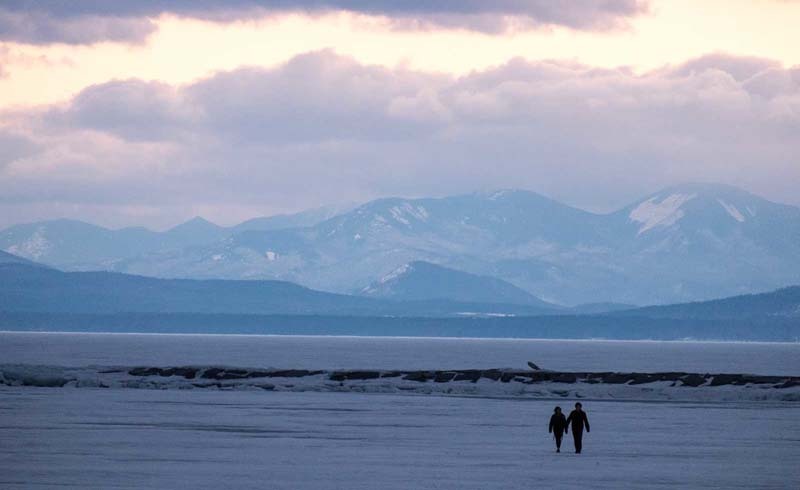 On the East Coast, there’s Burlington, Vermont on Lake Champlain’s shores with a choice of local ski resorts. About four hours north, Quebec will be celebrating Winter Carnival with a variety of cold weather activities and the ice hotel will make its annual three-month appearance. If you’re getting chills just thinking about sleeping on a slab of ice, let’s shift to warmer destinations. The Exumas, part of the Bahamas, will have toasty temperatures and sunny skies. 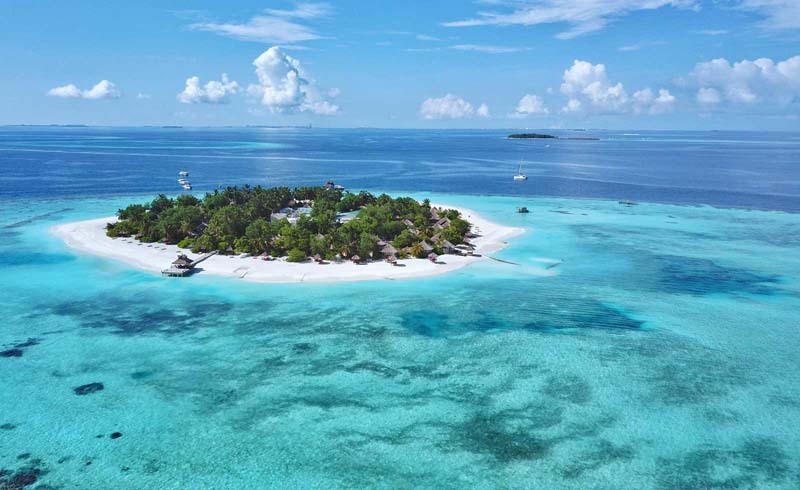 The Maldives, another island locale with sandy beaches, balmy breezes, and warm water, is known for superb diving and snorkeling among its coral reefs. Closer to home for most, Fort Lauderdale will have mild weather and much to do in the midst of Florida’s tourist season. For celebrations, there’s Hong Kong’s Lunar New Year festivities, as they welcome the Year of the Pig with parades, fireworks, and traditional events. 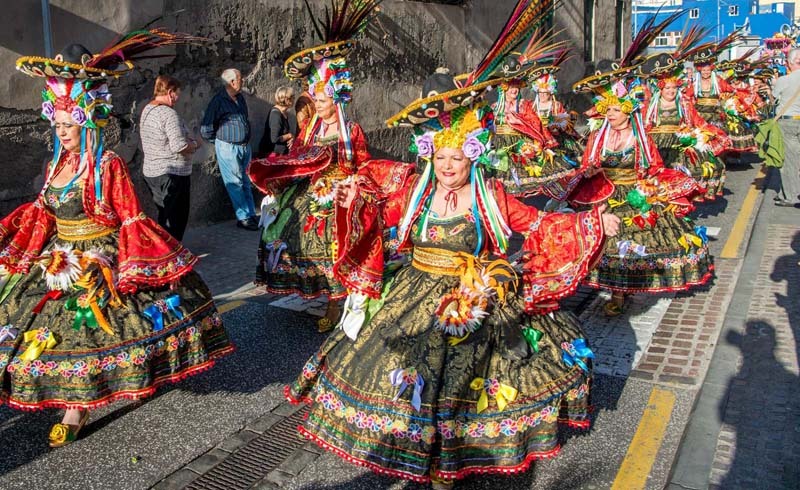 For one of the world’s most exciting pre-Lenten carnivals, Tenerife will astound with at least two weeks of merrymaking. For visitors who might enjoy some quiet moments between parties, there are miles of stunning beaches for relaxation. 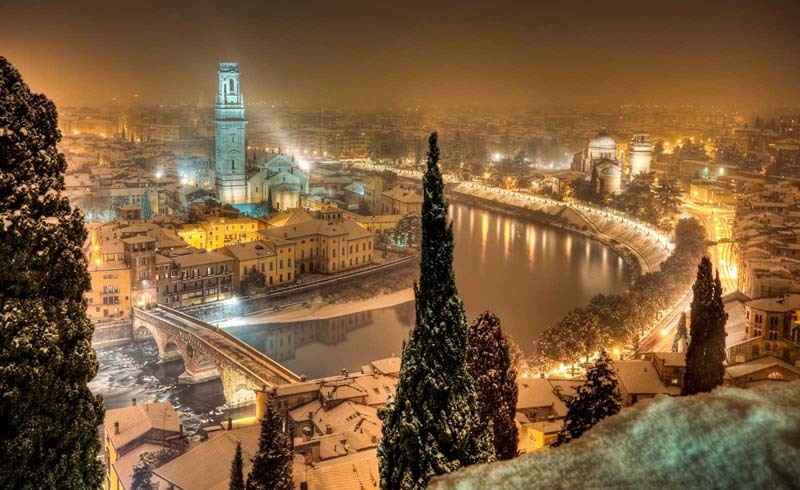 A trip to Italy is always a pleasure, and the small city of Verona would please romantic travelers, and anyone who enjoys delicious food, historic buildings, and Italian wines. Speaking of wine, we also present South Africa in February — warm, fun, and home to hundreds of premium wineries set in gorgeous landscapes. Albuquerque, New Mexico should be on travelers’ lists of destinations to explore, with its pleasant February weather, opportunities to enjoy the outdoors, ride in a hot air balloon over gorgeous mountains, and learn about the native cultures of this historic area. Think about a February getaway to one of these spots or get inspired by the suggestion of a winter trip, either to escape the cold or get right into it. Spring is coming soon upon the heels of this short month. Set on the Adige River in Italy’s Veneto region, about an hour’s train ride west of Venice, Verona is a picturesque medieval city. Valentines seeking to celebrate the February holiday in a romantic locale might consider this city where Shakespeare’s ill-fated lovers, Romeo and Juliet, met and professed their love. The famous balcony and bronze statue of Juliet at the Casa di Giulietta deserve at least a brief visit if only for a photo and perhaps to leave initials or a padlock on the lovers’ wall. The building was featured in the 2010 film “Letters to Juliet” and in Zeffirelli’s 1968 “Romeo and Juliet.” From there, visitors will want to explore the 1st-century Roman amphitheater, setting for the summer opera festival and open year-round. A glass of prosecco or cocktail at a café on the expansive Piazza Bra would provide time to relax and do some people watching. Once the town’s forum during Roman Times, the Piazza delle Erbe is another inviting locale with views of beautifully preserved baroque buildings, and the Torre del Gardello clock tower. For a spectacular view of the river and the city, take the funicular or hike to the hilltop Piazzale Castel San Pietro. If time allows, a side trip to Venice or to nearby Lake Garda would be a convenient and memorable addition to a romantic vacation. Home of the Vail Ski Resort, one of the country’s largest and most popular, Vail is located in the Rocky Mountains about 100 miles west of Denver and 30 miles east of Eagle, Colorado. 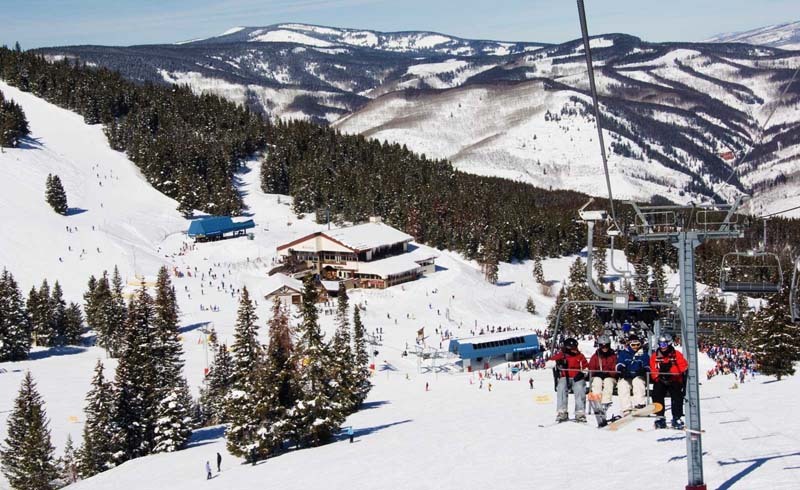 A variety of terrain, generous snowfall, mountain views, and an inviting European-style town with heated cobblestone streets combine to make Vail a beloved ski destination. One of the first resorts to welcome snowboarders, Vail is home to the annual Burton U.S. Open Snowboarding Championship, to be held Feb. 25-March 2, 2019. The schedule also includes four nights of free musical performances, late night shows, parties, and other events. Vail Legacy Days, a four-day celebration of the town’s history, will be held from Feb. 15-18, beginning with the Mountain Parade. Vail Village offers a variety of dining spots from casual to upscale, art galleries, and hundreds of shops and boutiques. Lodging at all levels is also available, including ski in/ski out hotels, B&Bs, resorts, and condo rentals. Vail’s first hotel, The Lodge at Vail, located just steps away from the new Gondola One, has been renovated while maintaining its historic alpine chalet style. The Vail Marriott Mountain Resort is another option for a luxurious place to spend the night after a day on the slopes. This warm, sunny city on Florida’s southeastern coast would be a perfect winter getaway with temperatures in the high 70s and so much to do. With beaches, boating canals, hotels, boutiques, art galleries, culture, and history, there’s something for everyone to enjoy. 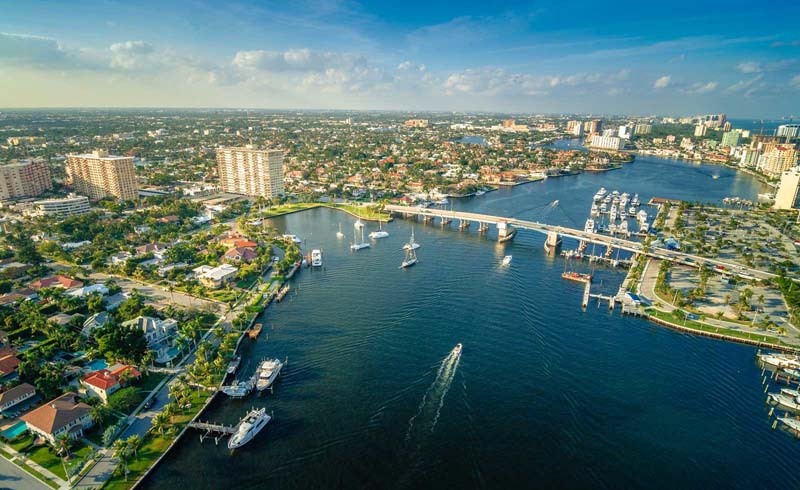 A stroll along the beachfront promenade would be a worthy introduction to the gorgeous coastline, while historic Las Olas Boulevard welcomes visitors to downtown Fort Lauderdale’s restaurants and shops. Newly opened Sistrunk Market & Brewery includes dining venues, a full production brewery, culinary classes, art, and entertainment. The Broward Center for the Performing Arts offers a full schedule that covers opera, dance, popular music, and lectures. Boat trips along the Intracoastal Waterway are another way to see the Fort Lauderdale area. New luxury hotels blend with historic buildings, as an example the Stranahan House, a preserved 1900s home furnished with antiques, and Bonnet House Museums & Gardens, a 35-acre historic estate, open to the public. The Dalmar, a new 25-story luxury hotel from Marriott’s Tribute Portfolio, will feature the city’s highest skyline rooftop bar. The Ritz-Carlton, Fort Lauderdale will host two events during the South Beach Wine & Food Festival to be held Feb. 20-24. Albuquerque’s February temperatures are generally in the sunny 50s with nights dropping to the 30s, typical of its high desert climate and 5,000- to 6,000-foot elevation. 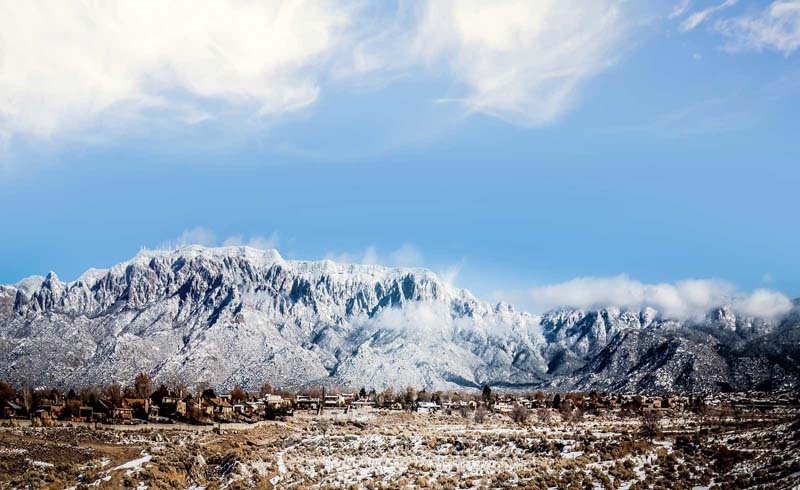 Visitors seeking snow can head to the Sandia Mountains for winter sports and hiking trails. On the ground, the 16-mile Paseo del Bosque Trail offers a venue for hiking, biking, skating, and horseback riding. The Sandia Peak Aerial Tramway ascends 2.7 miles almost to the peak for spectacular vistas of the city and surrounding areas. For another perspective, hot air balloons offer thrills and views as guests float over the area. Albuquerque even has a museum devoted to hot air ballooning with displays covering equipment, science, art, and history. ABQ BioPark boasts a zoo, botanic garden, aquarium, and Tingley Beach where visitors can enjoy fishing and boating. Petroglyph National Monument is a fascinating day hike with four trails where visitors can see some of the 20,000 images carved into the stone by Native Americans and Spanish settlers as long as 700 years ago. The Indian Pueblo Cultural Center and National Hispanic Cultural Center provide background on this authentic Southwest city, dating back to 1706 when it was founded as a Spanish colony. Guided tours, including one that covers locales from the AMC hit series Breaking Bad, are popular ways to get familiar with Albuquerque. Quebec is cold but beautiful in February, with daytime temperatures in the 20s. Dress in layers and top them with your new puffy jacket, a warm hat, and mittens, and you’re ready to enjoy winter the Canadian way. Winter Carnival, from Feb. 8-17, features ice canal races, night parades, snow sculptures, entertainment, and pyrotechnics. Old Quebec, with its fortified walls, charming streets, and European feel, is a UNESCO World Heritage Site which can be enjoyed in a horse-drawn carriage. Warm up afterwards with hot chocolate or a favorite Canadian comfort food, poutine (French fries covered with cheese curds and rich gravy). For a unique experience, tour or spend a night at the Hotel de Glace, North America’s only ice hotel, open January through March. 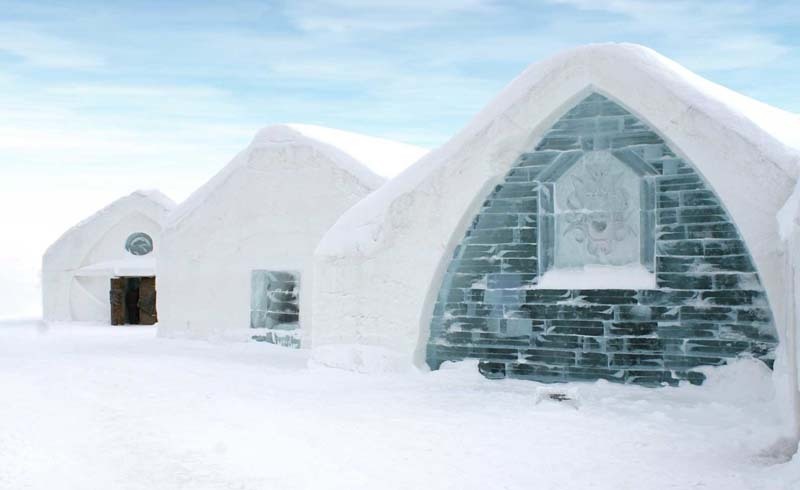 Created with 500 tons of ice and 30,000 tons of snow, the hotel offers a variety of rooms, several with hot tubs, fireplaces, and themed décor. With warm clothing and insulated sleeping bags, guests manage to sleep in rooms with temperatures around 23 degrees Fahrenheit. For winter fun, Valcartier Vacation Village is the place for snow rafting, sledding, ice skating, and the Valcartier Hotel. Other wintry activities in Quebec include ice skating, skiing, dogsledding, snowmobiling, and climbing near the frozen Montmorency Falls on one of the three via ferrata routes. Indoor activities will be welcome too, and museums include the Musee de la Civilisation where visitors can explore Quebec’s culture and history. More than 1,100 islands in a series of coral atolls just southwest of Sri Lanka make up the Maldives, the self-proclaimed "Sunny Side of Life." February is a sunny month for sure, in the midst of the dry season when the breezes are mild and the temperatures warm, perfect for island activities. An abundance of tropical fish and sea turtles attract snorkelers and divers to the surrounding reefs, while others enjoy canoeing, kayaking, waterskiing, kite surfing, or parasailing. Sandy beaches, indulgent spas, and spectacular sea views keep visitors relaxed and happy. Ferries and boats between islands allow exploring, and the capital of Malé, a densely populated bustling island, is a contrast to the serenity of the island resorts. In Malé, the National Museum depicts the history of the Maldives from the ancient pre-Islamic period to the present through displays of coral carvings, clothing, homes, and other artifacts. Authentic Maldivian cuisine, based on fish, coconut, chilies, breadfruit, and other local ingredients, often in small pastries, can be sampled at cafes. Hotels, guest houses, and resorts offer a range of lodging and dining experiences. At the elegant Anantara Kihavah Villas, guests can dine in an underwater restaurant surrounded by tropical sea creatures. Banyan Tree Vabbinfaru offers individual villas, private pools, outdoor showers, a spa, and an opportunity to learn about the local marine life. The Exumas' 365 cays are part of the Bahamas which in total consists of 700 islands and about 2,400 cays. 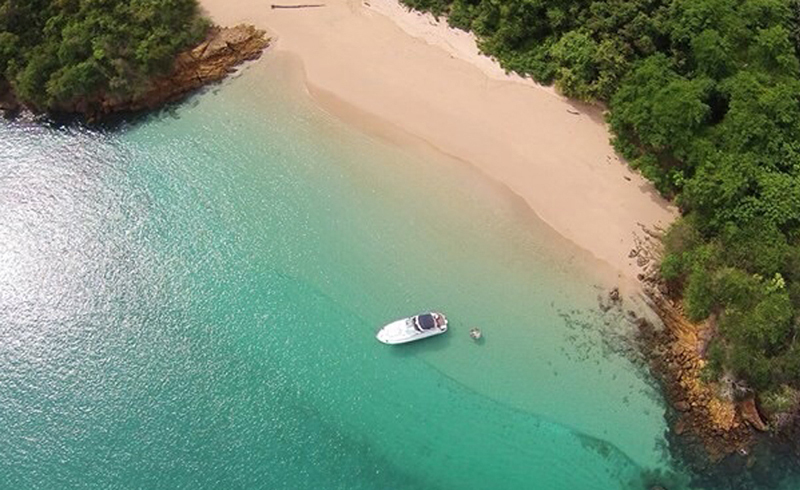 About 35 miles southeast of Nassau and 300 air miles from Miami, the Exumas are known for their turquoise waters, exclusive resorts, white sand beaches, and exquisite diving and snorkeling. Originally settled hundreds of years ago, the islands are still sparsely populated, with most of the population living on the three main areas of Great Exuma, Little Exuma, and the Exuma Cays. The capital city of George Town, located on Great Exuma, was founded in 1793. 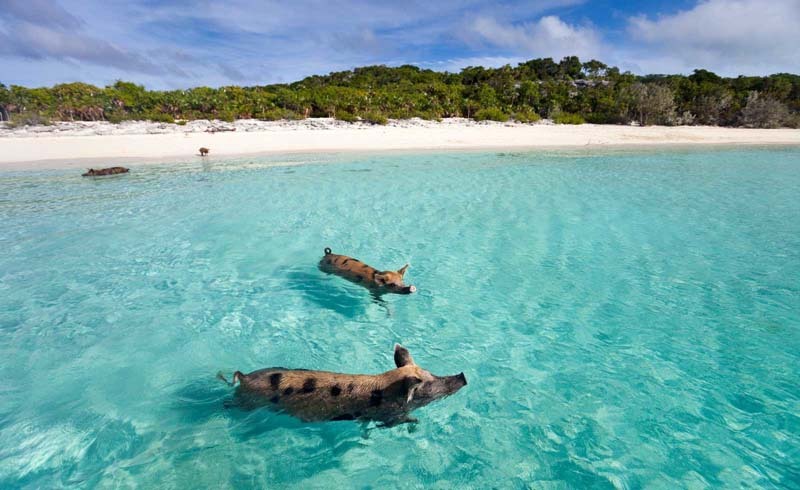 A favorite of visitors are the swimming pigs on Big Major Cay. Although no one knows exactly how they got there, the pigs have lived happily for years, swimming out to boats when tourists arrive. The cute pigs and piglets have become Instagram stars, naturally. Exuma Cays Land and Sea Park, accessible by boat or seaplane, has special appeal for divers with its underwater reefs, caves, coral, sponges, and marine life that includes spotted eagle rays, barracuda, colorful fish, and spiny lobsters. On land, there are iguanas, sea turtles, and a variety of seabirds. A range of lodging is available, with beachfront hotels, guest houses, and exclusive resorts. 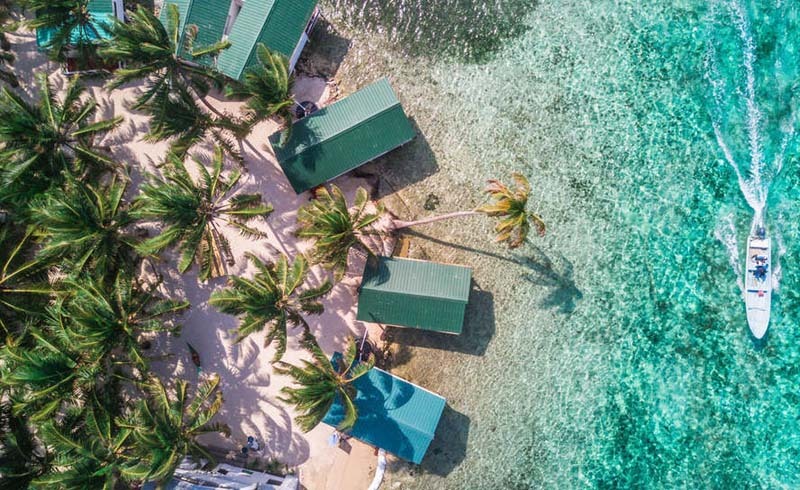 For a secluded getaway, the Fowl Cay Resort’s private island near Pig Beach features waterfront villas with luxurious amenities. February is mid-summer in Cape Town, and the temperatures are into the 80s most days, with strong breezes, long days, clear skies, and warm evenings. In town, the V&A Waterfront, named for Queen Victoria and her son Prince Alfred, is a much-visited destination. The prince inaugurated the waterfront’s construction in 1860 and returned for the official opening in 1870. Since then the harbor area has been renewed and is now home to restaurants, shops, galleries, an aquarium, Cape Wheel, and historic landmarks dating back to the 1700s. Its scenic beaches on the Indian Ocean and Atlantic Ocean border Cape Town, with clear waters, white sand, surfing, kite surfing, and wildlife. The Table Mountain Aerial Cableway takes visitors to the top of the flat-topped mountain in rotating cars that provide panoramic views of the city, harbor, and beaches. A day of tasting the area’s premium wines and visiting beautiful wineries would be convenient and enjoyable, and several wine routes are located less than an hour from Cape Town. 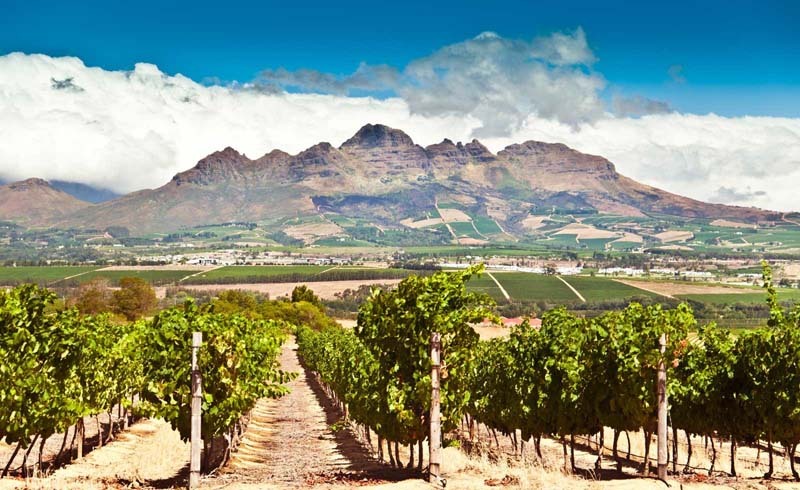 The Stellenbosch Wine Route, with nearly 200 wine producers, and the Franschhoek Valley are among the most popular. Foodies will be happy to discover a variety of cuisines and dining venues in Cape Town. Hong Kong is a cosmopolitan city and a tropical paradise. It is home to the world’s largest collection of skyscrapers, yet a 20-minute drive from just about anywhere in the city will take you to breathtaking beaches and hiking trails through lush green mountain ranges. Adventure seekers can find countless ways to get their adrenaline pumping, from paragliding off a mountain or diving off the coast to cruising in a speedboat. 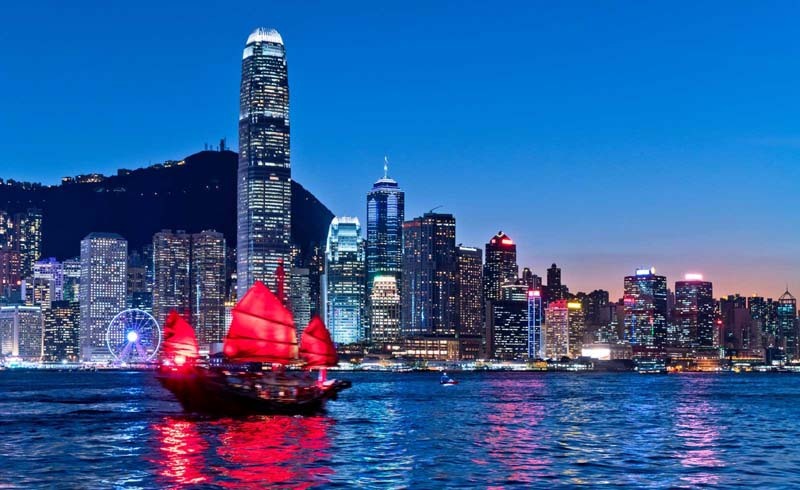 Those who want to shop and explore the city can visit the bustling streets of Causeway Bay and markets of Mongkok to browse for souvenirs, trinkets, counterfeit luxury goods, and street food vendors. From the Flower Market to the Ladies’ Market to the Goldfish Market and beyond, the options are seemingly endless. February is an especially exciting time to visit Hong Kong for the celebration of Chinese New Year on the first moon of the Lunar Calendar. In 2019, it falls on Feb. 5, beginning the “Year of the Pig.” Chinese New Year is a colorful and extravagant celebration, and Hong Kong puts on arguably the best in the world. Everywhere you look will be brightly decorated in red and gold, the lucky colors representing happiness and wealth. You can’t miss the Chinese New Year Parade on the first day of the extravaganza, followed by an impressive fireworks display over Victoria Harbor on the second day, and the horse races on the third. The festivities continue for the next 15 days culminating in the Lantern Festival with the first full moon of the year. The Spring Lantern Festival features hundreds of colorful lanterns adorning the markets, store fronts, restaurants, and just about anywhere you go. Tenerife is the largest and most populous of Spain’s seven Canary Islands. Dominated by Mt. Teide, a dormant volcano and the highest point in Spain, Tenerife offers stunning beaches, with sands from gold to black, lush forests, and expansive deserts. A cable car to the top of Mt. Teide provides breathtaking views of the island. Playa de las Américas is the tourists’ nightlife capital of the island, with cabaret bars, karaoke, and clubs open every night of the week. The climate is nearly perfect, and its year-round beach weather makes Tenerife an ideal February destination. However, to take part in one of the world’s most spectacular fiestas, visit at the end of the month, during Santa Cruz de Tenerife Carnival, from Feb. 24-March 10, 2019. The extraordinary celebration attracts thousands of people from all over the world. Carnival lasts for about two weeks, with streets bursting with constant joy, color, rhythm, and beauty. Each year, the public votes on a theme for the carnival, and 2019’s winner is “The Deep Sea.” One of the first main events is the Gala Reina, election of the Carnival Queen. All the candidates pile onto a stage to show off their extravagant, intricate, and unique costumes, covered in feathers, jewels, and beads, sometimes weighing hundreds of pounds. Once a queen is elected, the Carnival can officially begin. Over the next days, the city is engulfed in music and fun as musical performances, dance competitions, parades, and carnival acts take over the island. Street vendors selling masks and costumes encourage visitors to join the festivities. Winter weather fans will enjoy Burlington, when February temperatures are in the high 20s with snow for skiing and plenty of places to warm up. Vermont’s largest city, Burlington is on Lake Champlain’s northern shores, near the Green Mountains, part of the Appalachians. Ski resorts at Sugarbush, Stowe, Mad River Glen, and Smuggler’s Notch are all within an hour, and snowmobile rentals are conveniently nearby for guided backcountry tours. The town of Burlington is home to a range of restaurants, cafes, micro-breweries, live music venues, shops, and art galleries. Pedestrian-only Church Street is an inviting place to start an evening of exploring the town. Ben & Jerry’s famous ice cream began there, as noted on a commemorative plaque across from Town Square. While they have outgrown their original home, there’s still a Ben & Jerry’s shop on Church Street where visitors can buy a cone or cup of Phish Food, named for the band, which also originated in Burlington. Hand-made items from a local craft association can be purchased at Frog Hollow Vermont Craft Gallery for unique gifts and souvenirs that support Vermont artisans. The Echo Leahy Center for Lake Champlain is open year-round with more than 100 interactive exhibits featuring fish, reptiles, amphibians, and more.